Kat Von D MetalMatte Eyeshadow Palette in Nebula, Watt, Ignite, Tinsel, Glitz, Twinkle, Volt, Synergy, & Flash. Linen, Jet, Velour, Stone, Moss, Ribbon, Silk, Fringe, Feather, Oak, Suede, Bone, & Velvet. The Kat Von D MetalMatte Eyeshadow Palette retail for $60US and $74CAN for 9 x 1.14 oz/ 37.4 g Metal Crush Eye Shadows and 13 x 0.06 oz/ 1.7g Matte Eye Shadows. Kat Von D MetalMatte Eyeshadow Palette front and box front Flipped. 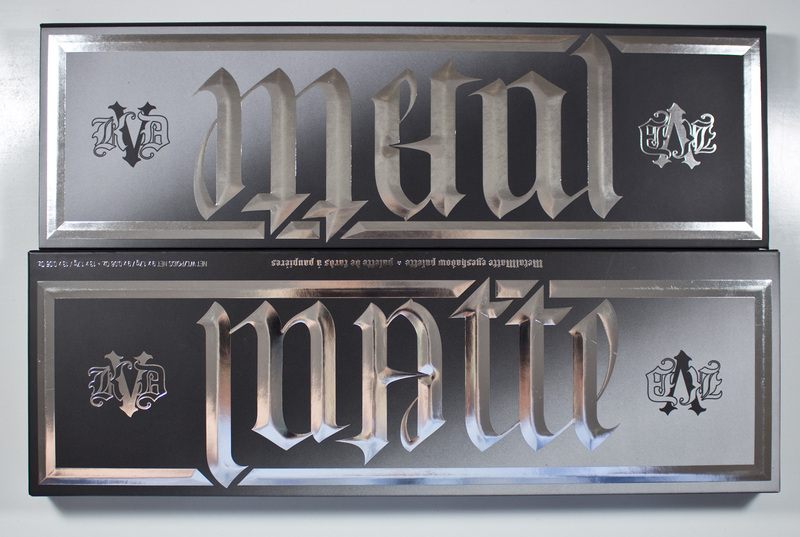 Kat Von D MetalMatte Eyeshadow Palette and box backs. Kat Von D MetalMatte Eyeshadow Palette in Nebula, Watt, Ignite, Tinsel, &Glitz. Linen, Jet, Velour, Stone, Moss, Ribbon, & Silk. Kat Von D MetalMatte Eyeshadow Palette in Glitz, Twinkle, Volt, Synergy, & Flash. Silk, Fringe, Feather, Oak, Suede, Bone, & Velvet. These matte shades in sthis palette are slightly drier compared to the Shade & Light Eye Contour Palette. they can be slightly powdery in nature as you pick up the product with the brush. The smooth texture lends itself nicely to the eyes and face for blending out. 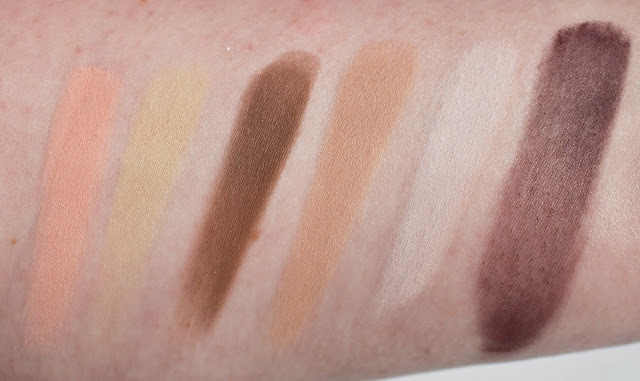 Some of the shades where very sheer probably dues to the purple pigment fount in them but also the Moss and Yellow where even but also slightly sheer to work with but still buildable. Nebula is a royal blue with a metallic finish. Watt is a vibrant teal with a metallic finish. Ignite is a pale sea blue with a metallic finish. Tinsel is a bright slightly warm silver with a metallic finish and white shimmer. Glitz is a pale dusty rose pink with a metallic finish. Twinkle is a pale lilac with a metallic finish. 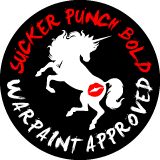 Volt is a dusty red based purple with a metallic finish. Synergy is a warm bronze with a metallic finish. Flash is a yellow gold with a metallic finish. Linen is a pure white with a matte finish. Jet is a warm tone black with a matte finish. Velour is a rich deep blue with a matte finish. Stone is a deep slate grey with a matte finish. Fringe is a light peach with a matte finish. Oak is a warm brown with a matte finish. Suede is a pale tan with a matte finish. 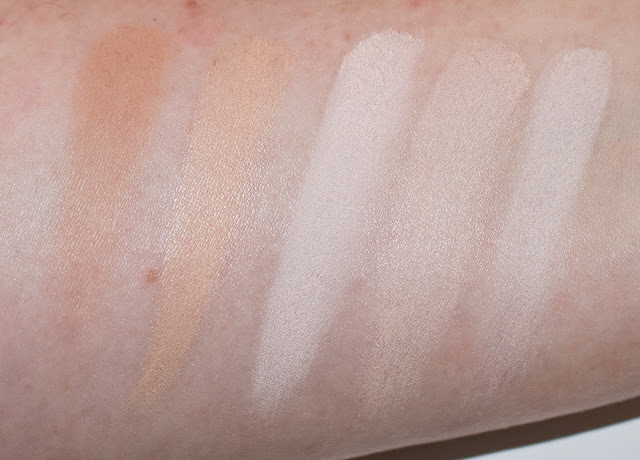 Bone is a off-white cream with a matte finish. Nebula, Watt, Ignite, Tinsel, Glitz, Twinkle, Volt, Synergy, & Flash. Fringe, Feather, Oak, Suede, Bone, & Velvet. Wear: For the Metel shades I get about 7+ hours of wear without a base. 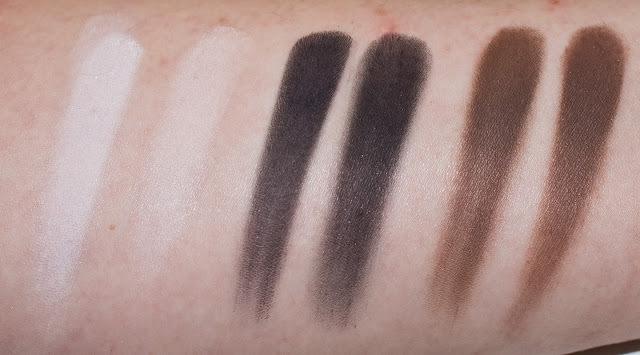 For the Matte shades I get about 4-5 hours of wear without a base, tehe purple I get 3 hours max as they really need a base to cling too on the skin. 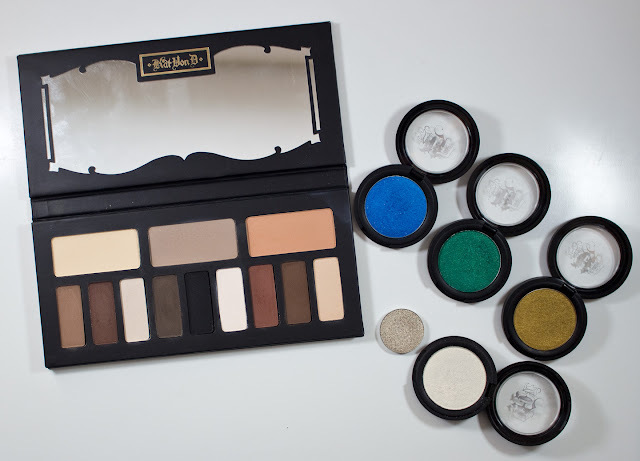 Kat Von D MetalMatte Eyeshadow Palette, & Shade & Light Eye Contour Palette. 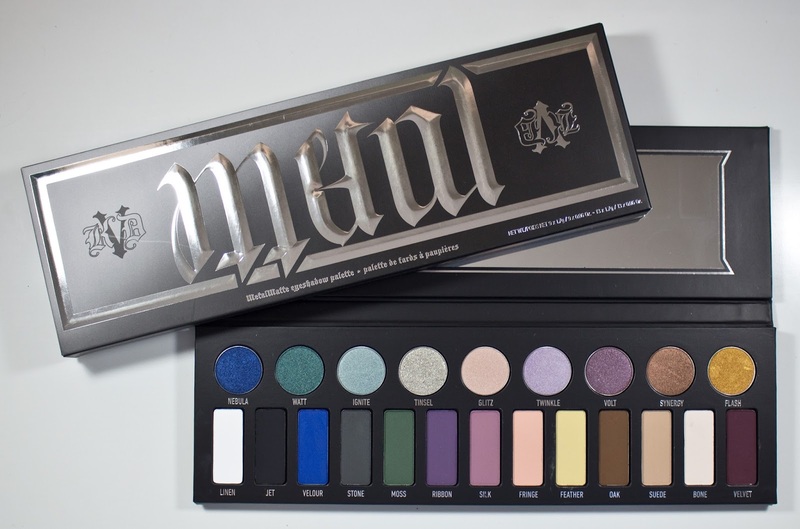 and Kat Von D MetalMatte Eyeshadow Palette. Packaging: Simple cardboard box compact with a mirror in the lid and a magnetic for closure. 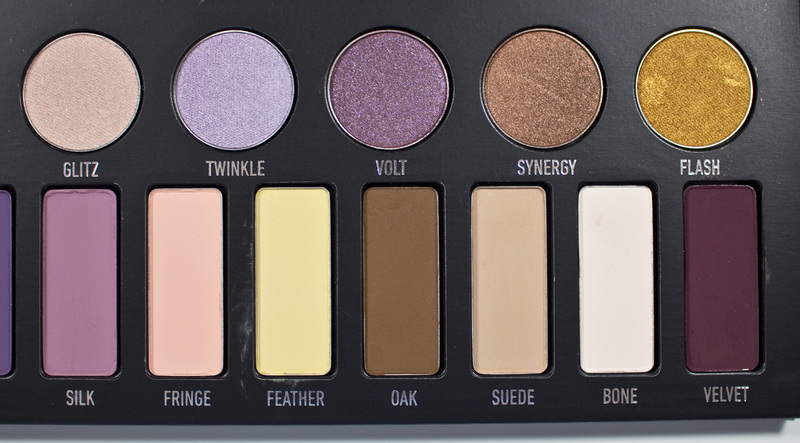 This palette is about 4" longer than the Shade + Light Eye palette. 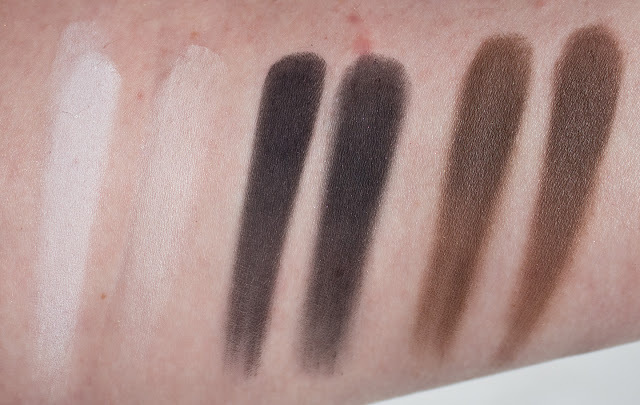 The Matte pans are the same size as the smaller pans froms the Shade + Light Eye palette. The Metal shade Pand are smaller that the full size and a standard MAC or Urban Decay eyeshadow and are the same size of the Make Up For Ever 9 and 15 pan palettes that have been comming out. 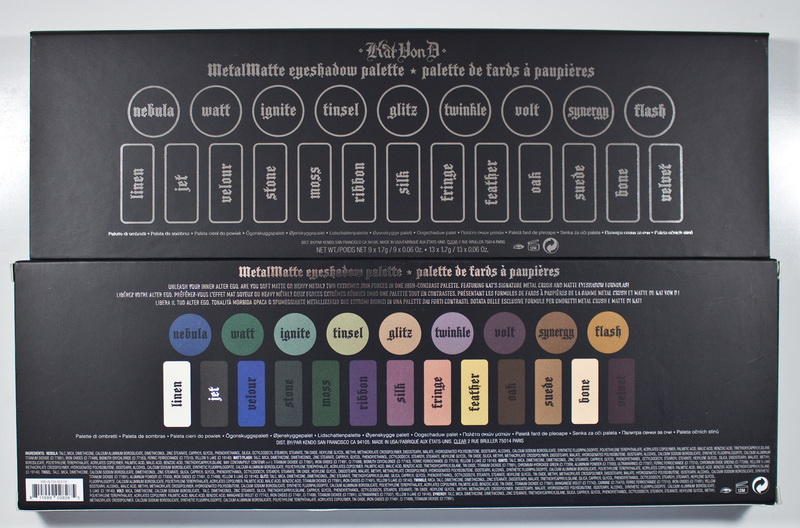 The Kat Von D Shade & Light Eye Contour Palette retails for $46US and $55CAN for 3 x 0.08 oz and 9 x 0.04 oz of eyeshadows product. 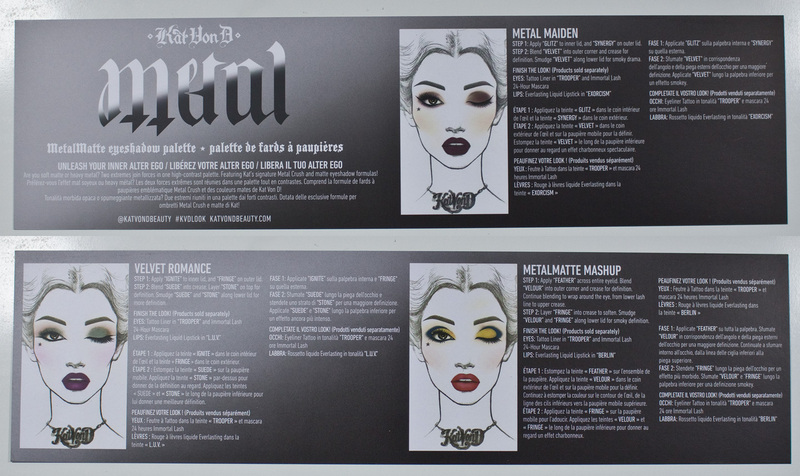 The Kat Von D Metal Crush Eyeshadows retails for $21US and $25CAN for 2.8g / 0.10 oz of eyeshadows product. 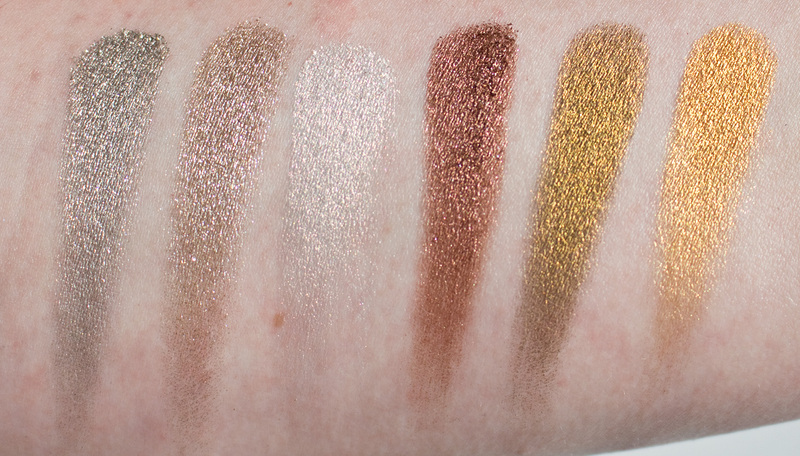 So the 1.14 oz/ 37.4 g Metal Crush Eye Shadows are about half the size of the full ones and the 0.06 oz/1.7g Matte Eye Shadows are a tiny bit larger that the Shade + Light Eye small pans. 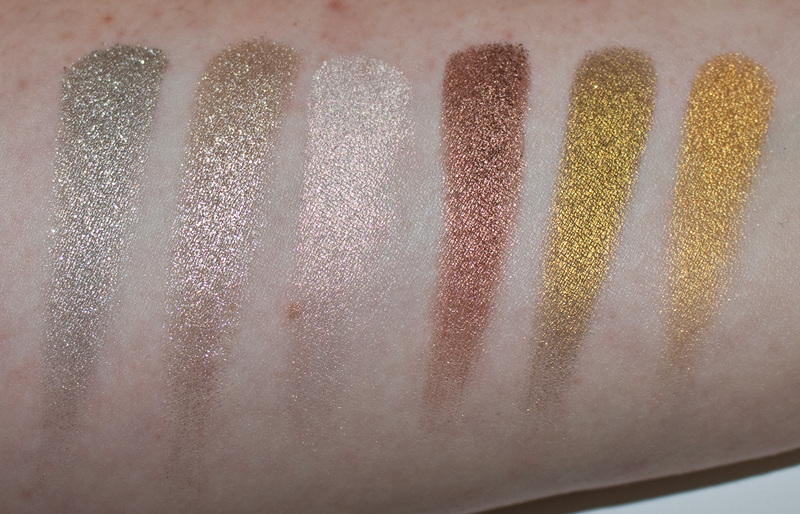 Daylight swatches: Kat Von D MetalMatte Eyeshadow Palette in Nebula, Watt, Ignite, Tinsel, Glitz, Twinkle, Volt, Synergy, & Flash. 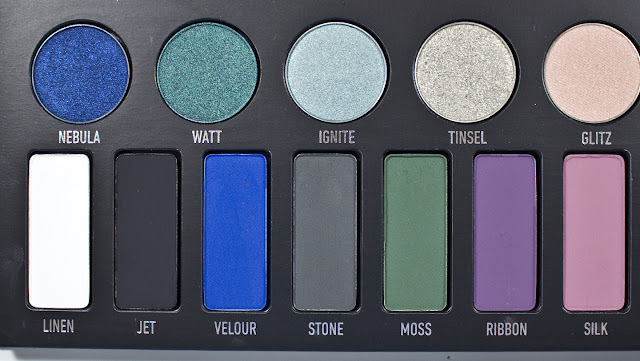 Flash swatches: Kat Von D MetalMatte Eyeshadow Palette in Nebula, Watt, Ignite, Tinsel, Glitz, Twinkle, Volt, Synergy, & Flash. Daylight swatches: Linen, Jet, Velour, Stone, Moss, Ribbon, & Silk. 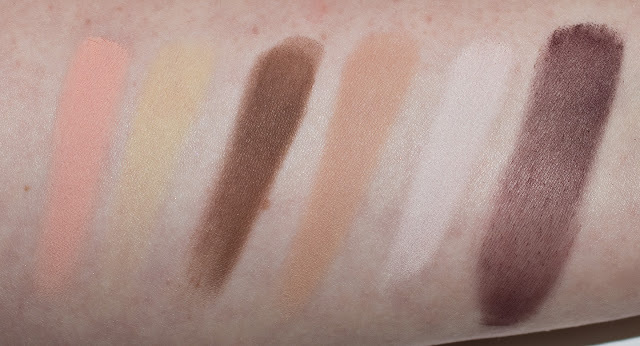 Flash swatches: Linen, Jet, Velour, Stone, Moss, Ribbon, & Silk. Daylight swatches: Fringe, Feather, Oak, Suede, Bone, & Velvet. Flash swatches: Fringe, Feather, Oak, Suede, Bone, & Velvet. 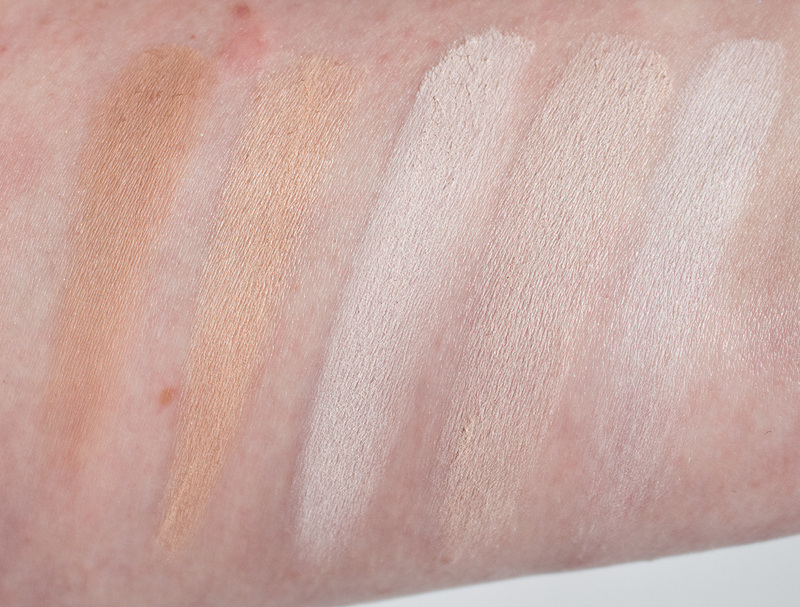 Shade & Light Eye Contour Palette. Metal Crush in Paranoid, Iggy, & Thrasher, and Metal Crush in Thunderstruck. Compare to the Shade & Light Eye Contour Palette. Daylight swatches: Linen, Liberatus(S+L), Jet, Shax(S+L), Oak, & Sytry(S+L). 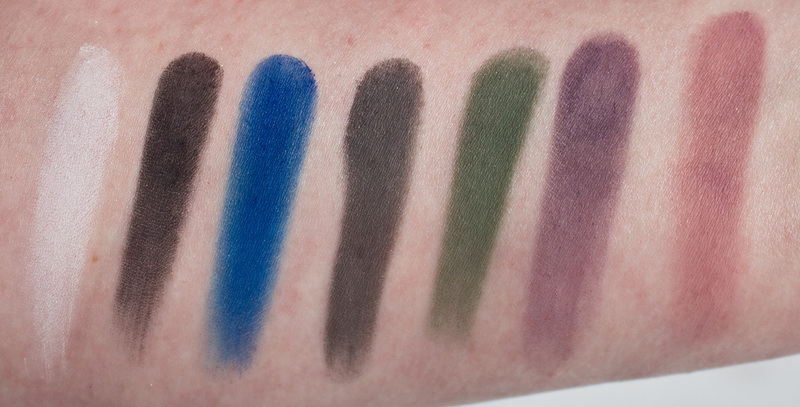 Flash swatches: Linen, Liberatus(S+L), Jet, Shax(S+L), Oak, & Sytry(S+L). Linen is a true white compared to Liberatus. Jet is a touch warmer compared to Shax. Oak is a touch cooler compare to Sytry. Daylight swatches: Suede, Lucius (S+L), Bone, Liberatus (S+L),,& Latinus (S+L). Flash swatches: Suede, Lucius (S+L), Bone, Liberatus (S+L),,& Latinus (S+L). Suede is darker compared to Lucius. Bone is paler compared to Liberatus and almost identical to Latinus. Compare to the Metal Crush ful size shadows. 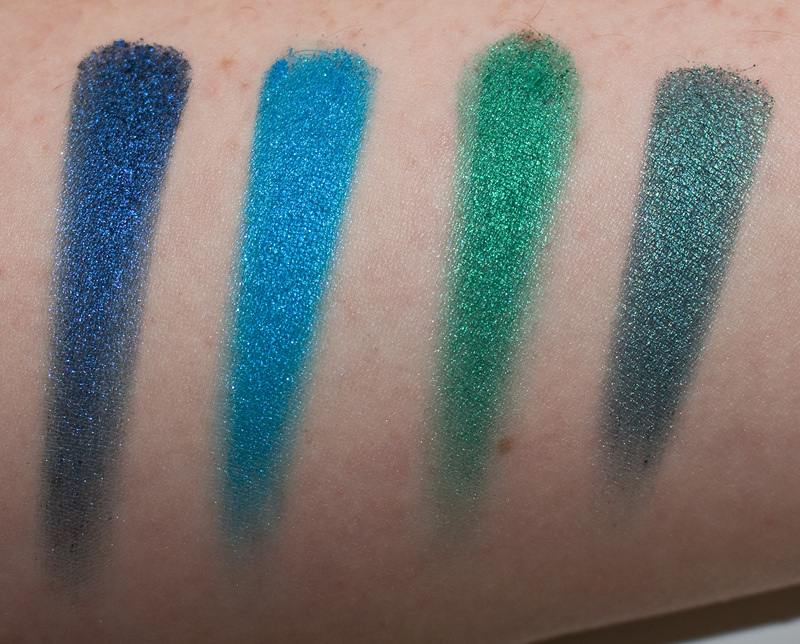 Daylight swatches: Nebula, Paranoid, Iggy, & Watt. Flash swatches: Nebula, Paranoid, Iggy, & Watt. 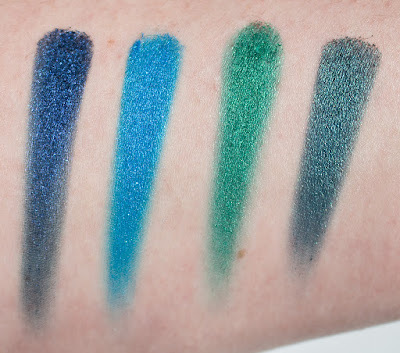 Nebulais a deep rich blue compared to Paranoid. Watt is a deep teal green compared to Iggy. 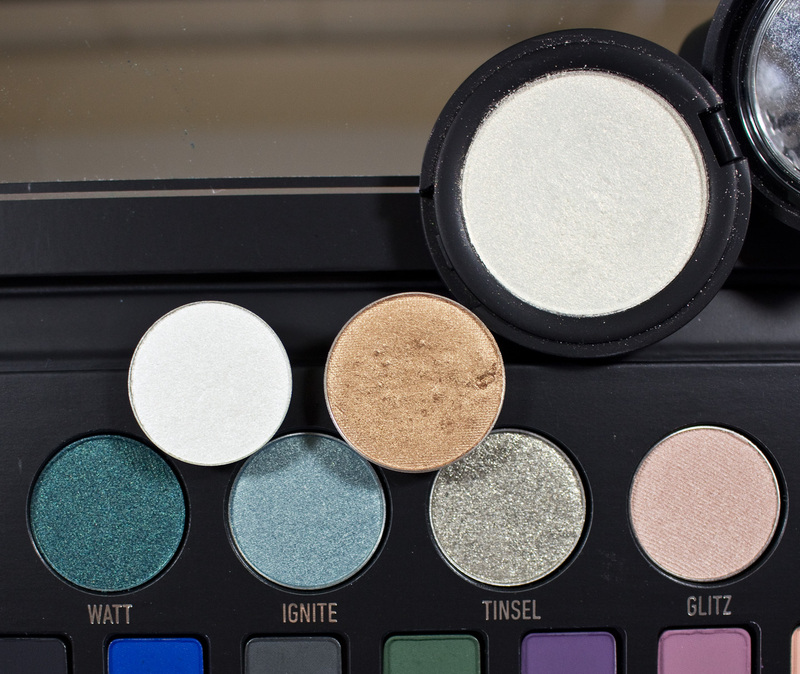 Tinsel is a cooler to metal shimmer compared to Anastasia Beverly Hills Eye Shadow in Metal and much deeper compared to Thunderstruck. Tinsel is also more shimmer and slightly warmer compared to the full size shade of Static Age(not showne but I've tested it in store). Synergy is much more bronse compared to Thrasher, and Flash is much more yellow compared to Thrasher. 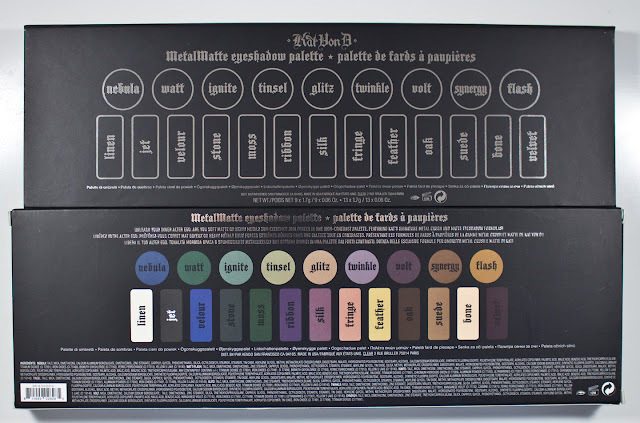 This palette has a nice diversity of shades for a number of looks using both the matte and metalic shades. 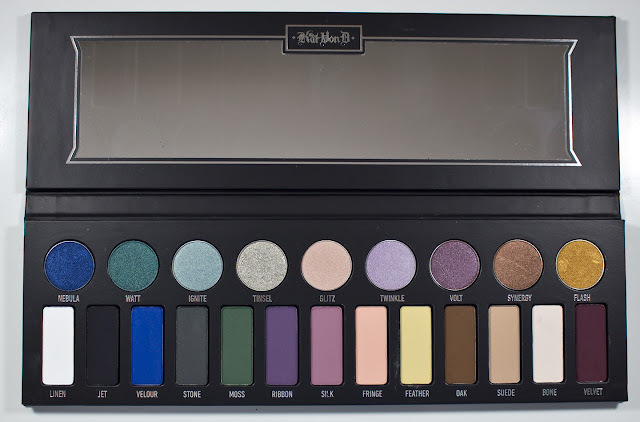 You also get a lot of product for the price as this is a large palette. If you a fan of Kat Von D eyeshdows tis is also a excelent Limited Edition palette as well in terms of quality.